With a demand present for the boiler to fire, this Baxi Solo 2 PF 50 boiler couldn't complete the ignition cycle. 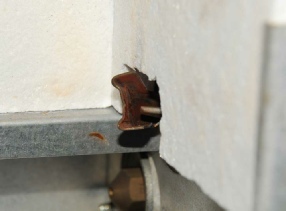 The boiler fan would start and stop repeatedly, on a very short cycle of under one second. This is a fault we've seen before on Baxi Solo PF boilers and is caused by damage to the boiler circuit board (PCB). When we removed the circuit board we found tell-tale damage to one of the soldered contacts of a relay on the board. We changed the pcb and the boiler went through a normal ignition cycle, firing up correctly. 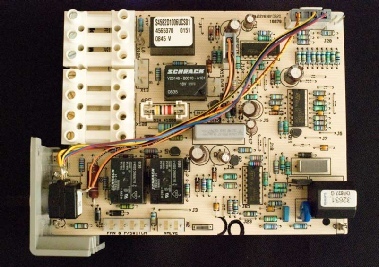 The same printed circuit board (pcb) is used on the Baxi Solo 2 PF boilers, the Baxi Solo 3 PF boilers and the Baxi Solo 3 PFL boilers. There is no permanent pilot on the Baxi Solo PF boiler ranges so the presence of a pilot on its own indicates a fault state. There are a number of possible causes. If the pilot remains alight when you switch off the electrical power to the boiler there's a fault with the gas valve as the pilot line must close completely when there is no demand for heat. Where the pilot lights during the ignition sequence but the main burner does not light there are still 2 or 3 possible causes. The Baxi Solo boilers we see sometimes struggle to go quickly and cleanly from pilot to main burner because there can be significant disturbance of the pilot flame caused by the fan. This can pull the pilot flame away from the ignition electrodes, making it difficult for the circuit board to sense the presence of the flame by flame rectification. However, these boilers usually manage to light fully within a few seconds. Baxi Solo 3 60 PF boiler won't fire up but a pilot is present. Probably the commonest cause of a Solo PF boiler not going from pilot to main burner is a solenoid failure on the gas valve. If a pilot alone is present and you also have 230V between red and blue at the gas valve then the fault should be with the gas valve as the main gas solenoid should open. 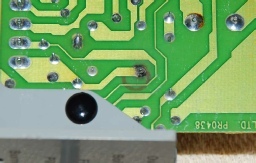 If the correct voltage is not present between red and blue then either the circuit board is faulty or the wiring connections are faulty or, possibly, the ignition contacts are dirty. Dirty ignition contacts was the fault with our boiler. The high tension spark (HT) jumped easily across the dirty contacts but the very low energy flame-rectification current was unable to pass correctly. We cleaned up the contacts with a very fine file and blew them clean; the ignition then worked normally and the boiler lit. Like all intermittent faults, this fault on a Baxi Solo 2 80 PF boiler was difficult to find. The customer told us that the boiler had been moved some months previously but had worked completely normally for months. Thankfully, the boiler decided to play up while we were there and the fault persisted long enough for us to check the voltages to the pcb (printed circuit board). We found that we only had between 165 and 175 volts AC between the Permanent Live supply wire and Neutral, indicating a heating fault that was not caused by the boiler. Tracing back along the supply wiring we found a junction box, fitted during the boiler move, where the Permanent Live supply wire had not been clamped under the screw. It simply lay against the screw. Re-making the contact sorted the problem out and the boiler now fires normally on demand. The pump connected to this boiler ran on indefinitely. This is a recognised fault that occurs with Solo 2 and Solo 3 boilers. 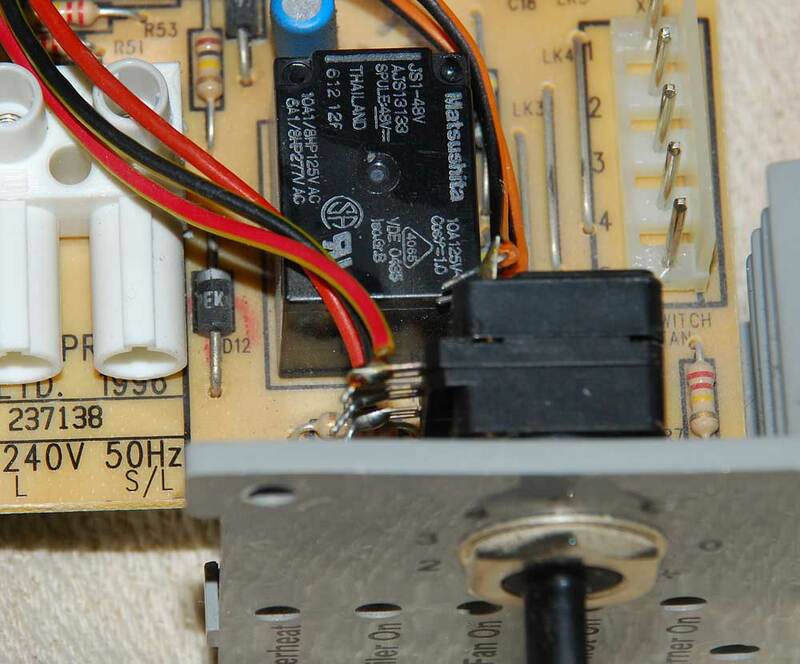 The circulating pump connected to the Baxi Solo boiler is run from the boiler pcb (circuit board), allowing the pump to be run for a few minutes after a heating demand ends, to remove excess heat from the heat exchanger. In the fault state the boiler continues to send power to the pump indefinitely. The boiler itself fires up and shuts down normally on demand but the fault usually becomes apparent when the householder is disturbed by pump noise during the night. The fault can only be resolved by changing the Baxi Solo circuit board.